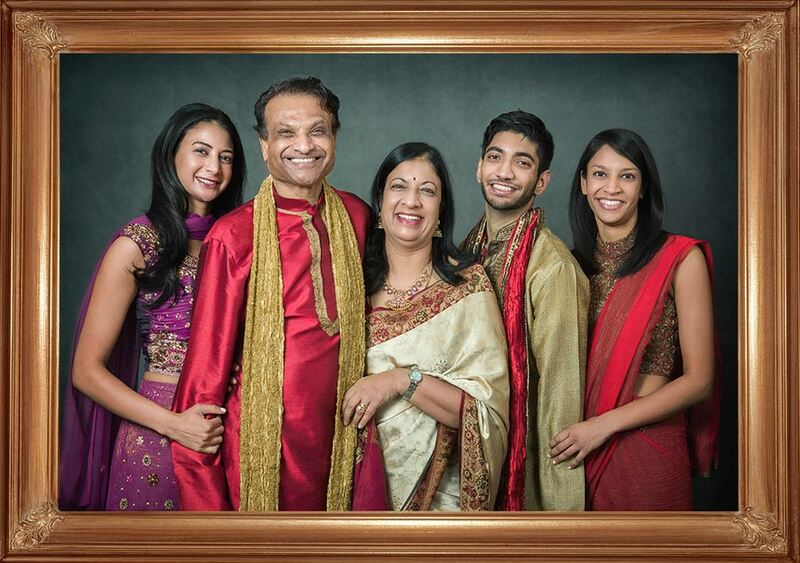 Indian Traditional Family Photo shoot. 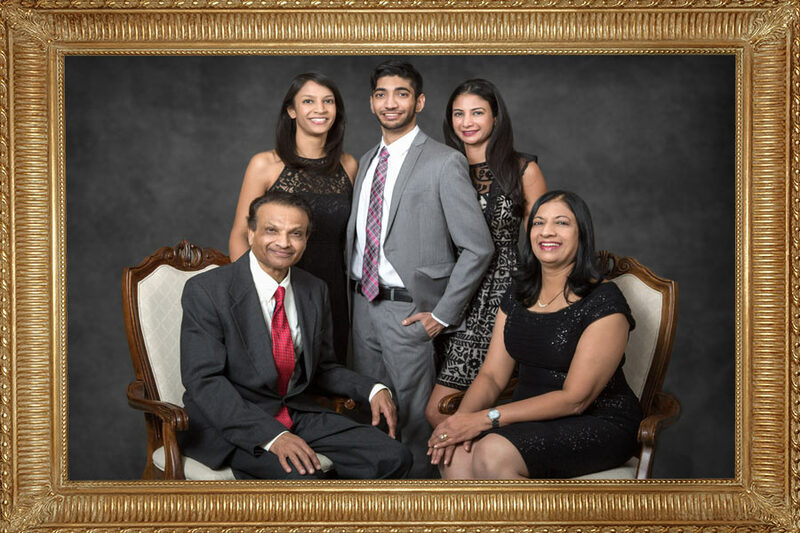 For an Indian traditional family photo shoot, this handsome family posed for their portraits in their own home. On Christmas eve, I was asked to shoot a session in home. Fortunately, it was early on Christmas Eve, around noon. Still time for me to complete my work and get home to deal with preparations with my own family. Although photographing a family portrait in the home of someone is more involved than them coming to me, it has it's distinct advantages. The benefits of this kind of photo session are twofold in my opinion. First, people can change outfits quickly and easily, they have full access to their entire wardrobe, accessories, make up, hair products, etc. Of course this involved taking studio lights, background, stands computer and a variety of other paraphernalia. A mobile photography studio. The plan in this case was to produce an image to replace the existing family portrait in the living room. This image was only 11 x 14 inches, and to see it and see who was in it, you literally had to walk up to the sofa and lean towards the photograph. We planned to change all of that. Our photo shoot took about an hour overall, with 15 minutes to set up, and again to dismantle everything. That gave us an hour and a half total time. In the end, the final wall portraits were ordered at a size of 30 x 40 inches. Though that may seem big, when it's on the wall it's a perfect size. It's the difference between walking into a room and seeing a portrait, but not the details, as opposed to seeing every family member clearly and beautifully. Without having to squint and peer, or walk up to get close. All wall portraits should be large and obvious, it's what makes them come alive. It's what truly defines a wall portrait - it's presence. 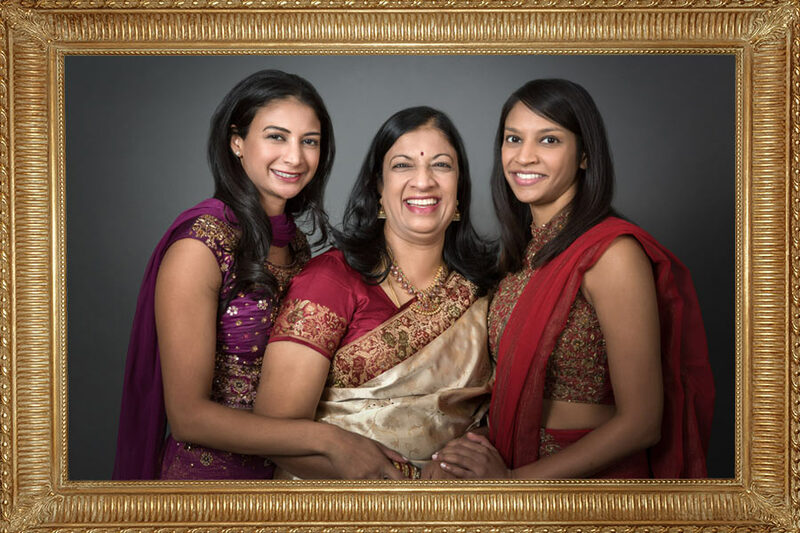 Wall portraits - an investment you will always be happy with, the more time passes. 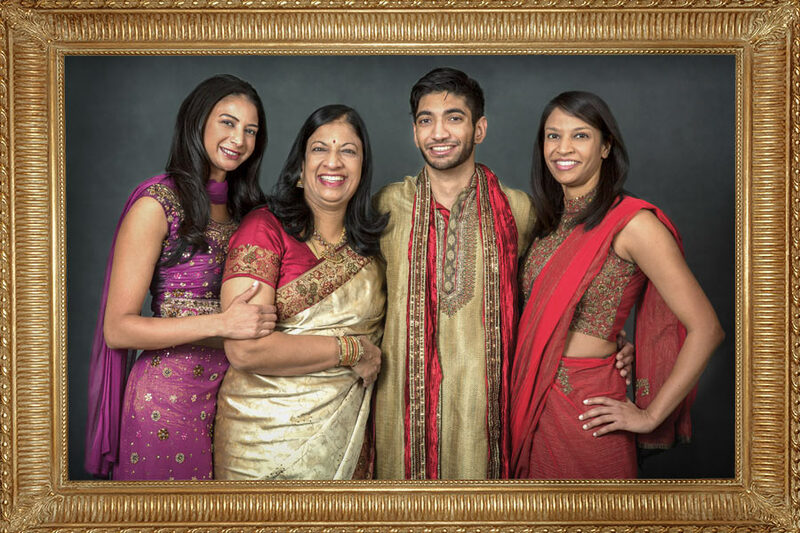 As far as this Indian traditional family photo shoot went, we had a blast! You can view other portraits here.